Whether you’re an aspiring songwriter or an established one, the International Songwriting Competition (ISC) is known to be one of the most high-caliber competitions the music industry has to offer. Designed to nurture the musical talent of songwriters on all levels and promote excellence in the art of songwriting, the ISC offers the opportunity to have your songs heard by some of the most influential decision-makers in the industry. So what’s in it for you? As it turns out, a whole lot! You know that new album you’ve been dying to record and that tour you’ve been wanting to book, but you just don’t have the funds? With 68 winners altogether, ISC is giving away $150,000 in cash and prizes – including a grand prize of $25,000 cash – and even more in merchandise and services. That’s enough to make a pretty serious investment in your music career! So who exactly will be listening to the submissions? Some names that may ring a bell include: Tom Waits, American Authors, Pat Metheny, Sara Evans, Bastille, Boyz II Men, and Avicii. Oh, and not to mention top industry execs Craig Kallman (chairman/CEO, Atlantic Records), Dan McCarroll (president, Warner Bros. Records), Jeff Castelaz (president, Elektra Records), and many more! For a full list of judges, click here. Talk about a launch pad for your music career! 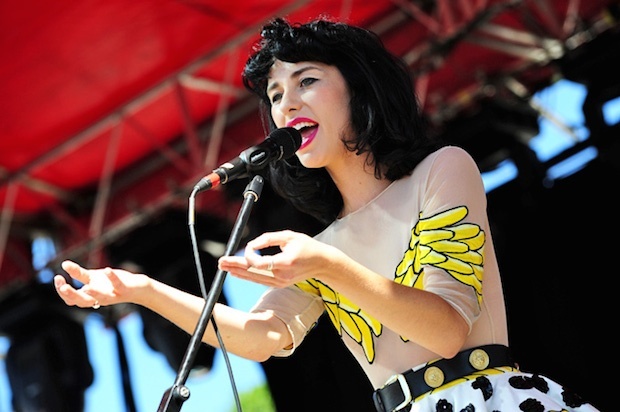 Kimbra won the ISC’s grand prize through Sonicbids back in 2011, and so did Kasey Chambers in 2010. Other notable winners include The Band Perry (country, 2007), Gotye (folk, 2007), and The Parlotones (2008-2012 awards). So what are you waiting for? Go submit your best song for a discounted fee of $25 by June 10, 2015!